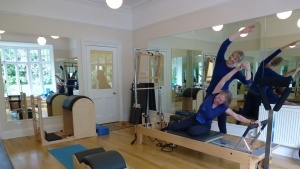 To see the range of Pilates on offer at the clinic click on Pilates, Mat Pilates Classes,Men’s Pilates, Equipment Studio Pilates, Equestrian Pilates, Pilates Classes Timetable, and to see the other Pilates Instructors click on Pilates Instructors. This entry was posted in News and tagged autumn term, maximum benefit, pilates classes, pilates instructors, timetable by Sonja Fitzpatrick. Bookmark the permalink.